I had several novenas going as I traveled by plane and train to Lourdes on my own. 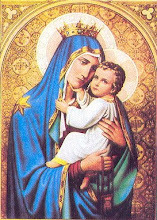 I arrived on July 16, the feast of Our Lady of Mount Carmel. 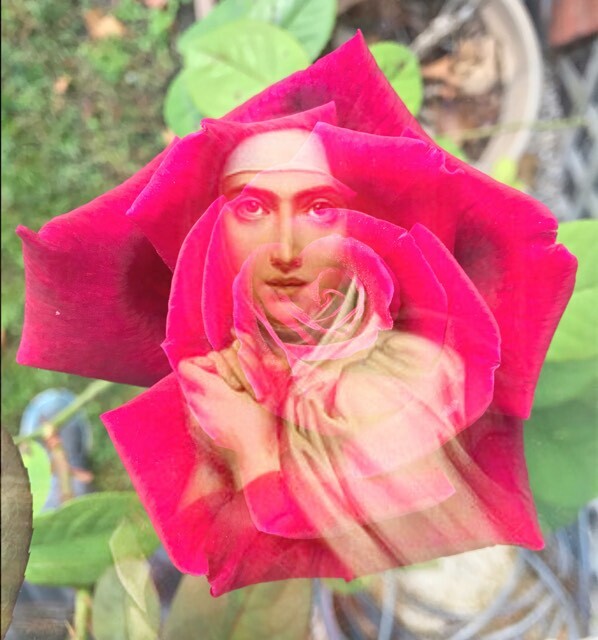 After about the first twenty days, I did not know where I would be staying, and so I did not hesitate to importune the intercession of Saint Anne and Saint Therese. The first ten days were spent at the Saint-Francois d’Assise hotel, clean, safe and respectable. However, I began feeling very lonely. I wondered what the purpose of my life was and what God was calling me to do. I had begun to think that maybe I was called to get married, an idea I had given up on when I became a nun. So I began to pray for a good husband. The next ten days were spent at a youth hostel on the hill, called the International Acceuil. It was run by an older French couple, and most of the employees were young men from Morocco. They were perfect gentlemen who took upon themselves the duty of watching over me. Due to my quaint attire they thought I was still a nun; they had a high respect for consecrated women. The “International” was not too clean, due to the influx of students who came and went, but it was there that I met my friend Winnie. Winifred Mary Teresa Carson was a feisty widow of 75 years with cropped white hair. She was from Liverpool but had run the English tea-room and hostel in Lourdes for many summers. She had a falling out with certain individuals and some disappointments which had made her decide never to return to Lourdes again. One night, however, she awoke to see a woman standing at the foot of her bed. “How the hell did she get into me house?” Winnie asked herself aloud, and then she realized that the woman was the Blessed Mother. Our Lady said nothing but Winnie knew that she was meant to return to Lourdes. She immediately reserved her ticket and packed her suitcase, and arrived in time to meet me on the feast of Saint Anne at the International Acceuil. I was convinced that the grandmother of Jesus had sent Winnie to be a grandmother to me. She introduced me to many of her old friends, and to the Astoria. The Astoria was the Irish hotel in Lourdes and renowned for its piano bar. Although owned by a French family, the Astoria was run by "Irishers" as well as inhabited by them during the pilgrimage season. Hearing that my great-great-great grandfather had come to Canada from County Cork, many of the Irish people I met adopted me as a long-lost relative, kept an eye on me and bought me tea. 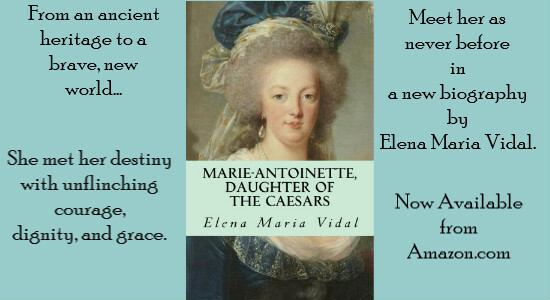 “’Tis desperate, Mary, ‘tis desperate,” she often said while reflecting upon situations involving the world, the flesh and the devil. She complained of the high temper of Madame who owned the shop. “Those French and their tempers!” she often sighed. “Well, Rose, don’t the Irish have a problem with losing tempers?” I asked. Before I settled in with Rose, I started going with Winnie on her daily peregrinations to the grotto, where she would wash in the water of the spring. We would go to Mass and Benediction and she would tell me stories of her family and of Lourdes. Yes, Lourdes has had its share of scandal over the years, just like everywhere else. Often we would go to the train station to meet the incoming pilgrims, most of whom seemed to be coming from Liverpool. Since “Liverpool is the capital of Dublin” I was told, many of the pilgrims were of mixed English-Irish descent, and their arrival in Lourdes was like an electric storm hitting the town. Let us just say that they were not as quiet and restrained as the native French. “We keep the Frenchies on their toes,” Winnie explained to me as she danced the hokey-pokey at the depot with the folk from Liverpool. In the evening, I would accompany the aged dame to the Astoria’s piano bar, where she would dance and sing into the wee hours, with the variety of Irish and British pilgrims, and Mary, the piano lady. Mary was able to play the piano, drink whiskey and carry on a conversation all at the same time. “Give us a song, Mary,” she invited me, and I became a regular chanteuse at the Astoria with renditions of “Danny Boy” and “Loch Lomond.” Mary had started coming to Lourdes when first hearing that she had cancer. She had not been healed, but “pruned” she said, like the trees along the River Gave. Watching those trees being trimmed in the springtime had consoled her and prepared her for surgery, and she returned to Lourdes every summer to play the piano at the Astoria. After a day of prayer and processions the light-hearted recreation and singing was relaxing for many pilgrims; I know it was for me. Music is as cleansing to the soul as water is to the body, even Irish ballads and tavern songs. The Astoria had a walled courtyard with a fountain in the center. When the lobby became too crowded, many of us would drift to tables outside for conversation away from the noise. The Pyrenean evenings were usually clear and warm and sitting outside under the stars with a glass of wine is what being in the south of France is all about. Many were the wonderful conversations that went on for hours. 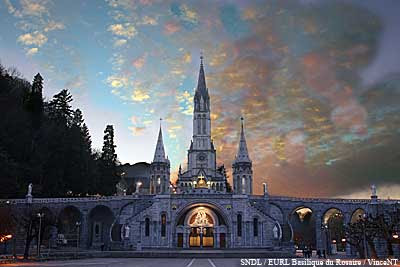 Once there was a priest from England and a man with cerebral palsy from Australia; we talked about Marian apparitions, the meaning of martyrdom and how the struggle between good and evil seemed to be more intense at Lourdes. There was a devout Indian lady from London who loved Our Lady and the saints although she was a Hindu. She wanted to become a Catholic but feared the rejection of her caste. Still, she would pray all night in the Grotto. I also met Josephine from England, unable to walk without crutches. Right in front of several people, including myself, she threw down her crutches, declaring herself to be healed. She had been coming to Lourdes for many years out of love for Our Lady, not really expecting to be healed. During the annual international gypsy Lourdes pilgrimage, which lasted for a week in the latter part of August, seven thousand gypsies descended upon the town. The locals were terrified of all the gypsies. Many were there to pray, but some were there for mischief. Extra police were brought in from neighboring principalities. Shops and cafes closed as soon as it dusk fell. Only the Astoria lounge, protected by its courtyard, stayed open for evening festivities, as well as the Café Rotonde. The Café Rotonde was owned and operated by two brothers and their families and was famous for some of the best cuisine in Lourdes. Rose and I always had supper there on her day off. They really had superb food, wine and cheese, which one could enjoy in spite of the incredibly tacky 1970’s décor and French pop music which played non-stop. One night a boisterous band of gypsies decided to join us. I will never forget the proprietors of the Rotonde and their wives and children, lined up wide-eyed behind the counter, watching the gypsies with fear and trembling. Nothing happened, but with gypsies the unexpected was usually expected. It was during the gypsy pilgrimage that an English friend and I decided to make an all night prayer vigil in the Grotto. There was a group of gypsy women kneeling before Our Lady. They really looked like archetypal gypsies, with large gold hoop earrings, long black hair, brightly colored scarves and long cotton dresses. They prayed on their knees for a very long time. Around midnight, the grotto closed and everyone left except for the seven or eight people who were spending the night there. All strangers from different lands, I think by the end of the night we were brethren in Christ. We did not speak, but the presence of others gave mutual support. It rained most of the night, so we all huddled beneath the sheltering cliff. There were no chairs, no kneelers, nothing but cold damp stone, but I did not feel any physical discomfort. Being in that sacred spot in the dead of night was like being lifted outside of time and space. At dawn, the grotto reopened and pilgrims began filing past again. Then at six o’clock in the morning, the Polish mass began, so we had to clear away from behind the stone altar. The all night vigil was over, and it was beautiful to end it with a Mass sung in Polish. On her day off, Rose and I would sometimes take walks around Lourdes, shopping and visiting friends. From the Rue de Pau we could sit on a bench and take in the Chateau-Fort from an angle which revealed the ruined donjon, with crumbling chambers and staircases. I had been up inside the castle the previous spring, and had been fascinated by it, especially when I heard that it had been a Cathari fortress. I discovered this fact when I went to the Lourdes Public Library, in Abbé Peyramale’s former rectory, to do some research. “I would like to write a novel about the castle,” I told some of my friends. “I will write.” I thought it would be interesting to write a novel about a Catholic maiden taken prisoner by the Cathari. I told Winnie, before she returned to Liverpool. Over the portal of the Rosary basilica were the words in Latin from the Ecclesiasticus which translated into English read: “Bud forth as the rose planted by the brooks of the waters.” On my last visit to the grotto, I pondered those words, as if they were meant for me. “Your life will be more public now” a priest had said to me. On September 1, the pilgrimage came to an end. It was time to return to the States, to get a job, find a husband. Everything would come together, all in its proper time. Before I said “good-bye” to Rose, I told her that I promised Our Lady that I would return to thank her if she sent me a husband. I arose early to catch the train to Paris. I said “farewell” to Lourdes. It was the same old world, the same sorrows, the same problems, but for me, everything had changed, forever. I'm loving this narrative. And your first trip there was in April? I wonder if I could benefit from something like that. It would be wise if I started with a retreat first - something I've never done. Yes, it was April. I recommend it to everyone. What a full and wonderful trip that was! Filled with grace from the beginning, and I love that you had become a 'regular chanteuse' in the Irish tavern! Thank you!! Same to you, Gette!